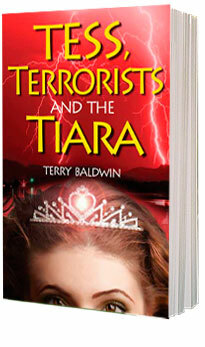 When Tess’ grandmother was young she won a patriotic beauty contest and was crowned "Miss Land of Free." She was honored with a diamond and gold tiara, which today is worth more than $100,000. Now that Grandma has been diagnosed with Alzheimer’s disease, she’s decided to give the tiara to either Tess or her sister. When the sisters are sent to spend the summer with their grandparents at their lake house, Grandpa sets up a competition. The one who wins the most “points” for helpful behavior gets the tiara. It’s not an easy task for thirteen year-old Tess, whose older sister has always been the "perfect" one. But when a secretive family moves in nearby and Grandma disappears, Tess learns a lesson about prejudice, fear, and the real value of doing good—a lesson that may be worth even more than the tiara. Publishers: Check out our eBook Conversion Services.